Go to your Billing / Invoices (located in the settings menu in the top right hand navigation). 2. Click the "Statements" button just to the right of the "Subscription" Tab. 3. Click any link to download that period payment receipt. Important: If you can't find your current statement for a subsequent purchase, Please send us a message in chat and we'll grab it for you! 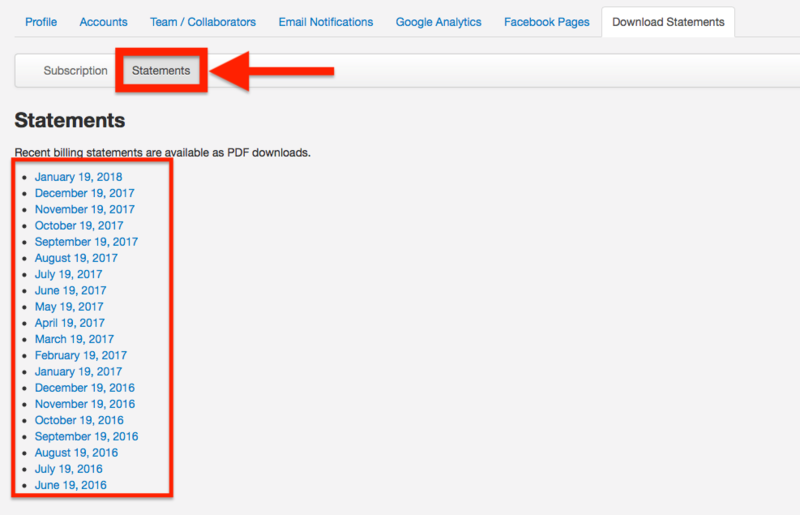 Helpful Tip: If you download the PDF and yours just looks like a bunch of mumbo-jumbo try double clicking the filename from your downloads folder and removing .HTML and replacing with .PDF - Ta-da! That should render the file into a readable PDF.